Turbulent surface heat fluxes (latent and sensible heat) are the two most important parameters through which air–sea interaction takes place at the ocean–atmosphere interface. These fluxes over the global ocean are required to drive ocean models and to validate coupled ocean–atmosphere global models. But because of inadequate in situ observations these are the least understood parameters over the tropical Indian Ocean. Surface heat fluxes also contribute to the oceanic heat budget and control the sea surface temperature in conjunction with upper ocean stratification and ocean currents. The most widely used flux products in diagnostic studies and forcing of ocean general circulation models are the ones provided by the National Centres for Environment Prediction (NCEP) reanalysis. 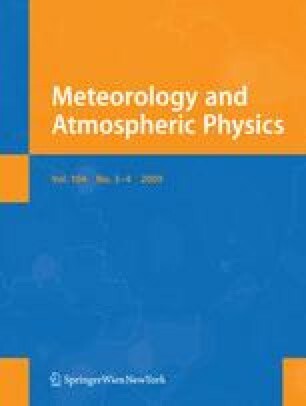 In this study we have compared NCEP reanalysed marine meteorological parameters, which are used for turbulent heat fluxes, with the moored buoy observation in the south-eastern Arabian Sea. The NCEP latent heat flux (LHF) and sensible heat flux (SHF) derived from bulk aerodynamic formula are also compared with that of ship and buoy derived LHF and SHF. The analysis is being carried out during the pre-monsoon and monsoon season of 2005. The analysis shows that NCEP latent as well as sensible heat fluxes are largely underestimated during the monsoon season, however, it is reasonably comparable during the pre-monsoon period. This is largely due to the underestimation of NCEP reanalysis air temperature (AT), wind speed (WS) and relative humidity (RH) compared to buoy observations. The mean differences between buoy and NCEP parameters during the monsoon (pre-monsoon) period are ~21% (~14%) for WS, ~6% (~3%) for RH, and ~0.75% (0.9%) for AT, respectively. The sudden drop in AT during rain events could not be captured by the NCEP data and, hence, large underestimations in SHF. During the pre-monsoon period, major contribution to LHF variations comes from WS, however, both surface winds and relative humidity controls the LHF variations during the monsoon. LHF is mainly determined by WS and RH during the monsoon and, WS is the main contributor during the pre-monsoon. The authors thank the Director, Indian National Centre for Ocean Information Services (INCOIS), the Director, Space Physics Laboratory (SPL), and all other colleagues for their encouragement and support. Moored buoy data was provided by NDBP/NIOT, Chennai and ship data was provided by IISc/NCAOR. We would also like to thank the reviewers for very critical yet significant comments and suggestions which have contributed in improving the quality of this paper.